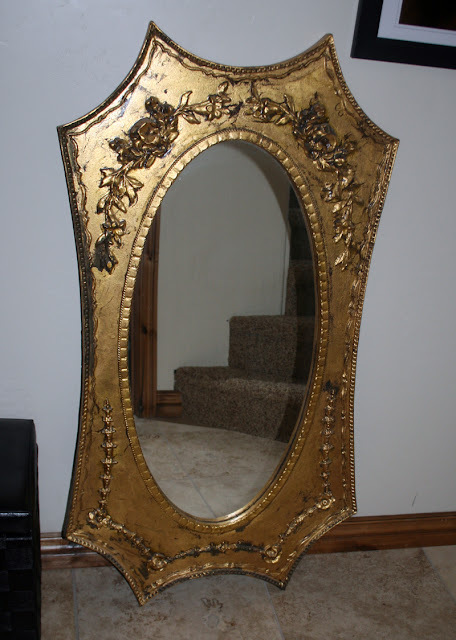 At a recent estate sale, I saw this large gold mirror and fell in love. The floral accents and architectural details are amazing. That gold hue, however, was too much for me. So, I whipped out my favorite gray paint and went to town. Doesn't she look gorgeous with her new gray coat? P.S. 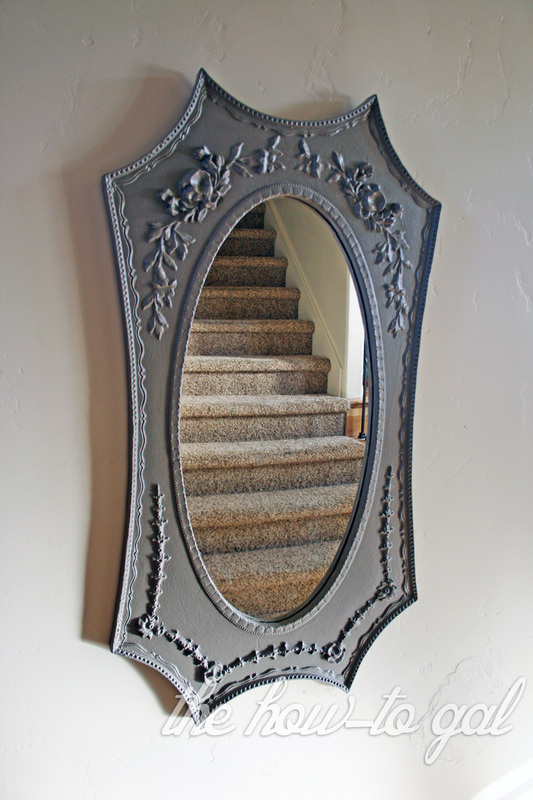 If you live in Utah County, this baby is for sale! She doesn't fit in the spot I envisioned her in. Lesson learned: Measure before you paint! !